In recent days the declaration of a vapereur makes the "buzz" on the social network Facebook. Indeed, he declares to have been arrested by the police for the use of an e-cigarette at the wheel and have been punished by 90 euros fine and a withdrawal of 3 points on the license. 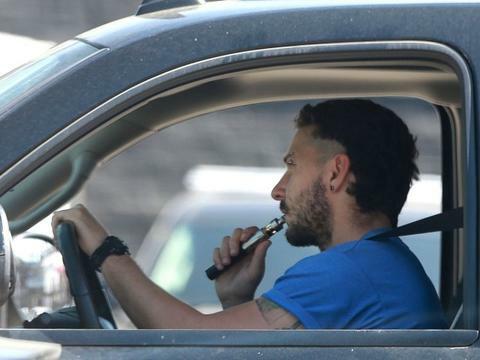 But what do you really risk using his electronic cigarette in the car? Do you like to use your electronic cigarette while driving your car? Well know that in theory this is not allowed by the highway code. Vape and "smoking" are prohibited from the moment the material you are holding prevents good behavior. To be more precise, it is not vaping or cigarette driving that is forbidden but the impossibility of being in a state and in a position to execute conveniently and without delay maneuvers necessary for safe driving with a suitable field of vision in accordance with article R 412-6 of the Highway Code. The verbalization of vaping at the wheel is therefore at the discretion of the police, police and gendarmerie. In the case of an infringement found, it is a contravention of 2ème class with a fine of 35 €, minus 22 €. In 2018, some smokers and vapers have been verbalized but the lawsuits are very often classified without continuation. Since the 1er July 2015, it is forbidden to smoke in the presence of a child under the age of 12 by car under penalty of a fine of 68 € (class 3 contravention). By using your electronic cigarette while driving in the presence of a minor, you are also at risk of being fined. BE CAREFUL WITH THE HAPPY APPLICATIONS OF THE ROAD CODE! As we say in the introduction to this article, a driver would have been sanctioned by 90 euros fine and a withdrawal of 3 points on the permit for vape driving without the presence of a minor. We therefore call for distrust because this sanction is not appropriate to this situation! Indeed, " the impossibility to be in a state and in a position to carry out conveniently and without delay the necessary maneuvers to drive safely with a suitable field of vision Does not give rise to the same sanction according to the objects used. 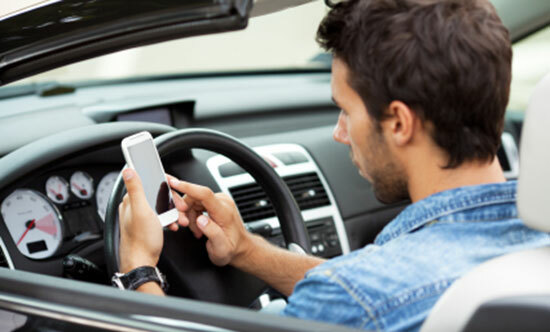 Excessive zeal, procedural error or legal uncertainty, a police officer may well punish you with the tariff "fine phone behind the wheel" for the use of an electronic cigarette. And to say that the penalty is not the same! The use of the hand-held mobile phone or 2 wheels, whether it is a call to the ear or sending an SMS, is an offense punishable by a PV with a fine of 135 € (minus 90 €) et a withdrawal of 3 points on the permit. Mobile phones, headsets, headphones and headsets are the only things that in theory can cost you a point withdrawal. For your safety and to remain alert on the road we advise you not to use your electronic cigarette while driving. But in case you are sanctioned for driving, take care not to leave with an inappropriate penalty! Following : NEW: Discover the myblu e-cigarette kit with a special introductory offer!